IFOA Markham is an event organized by the Markham Arts Council, a non-profit organization in Markham that focuses on supporting, promoting and fostering the arts in our community. 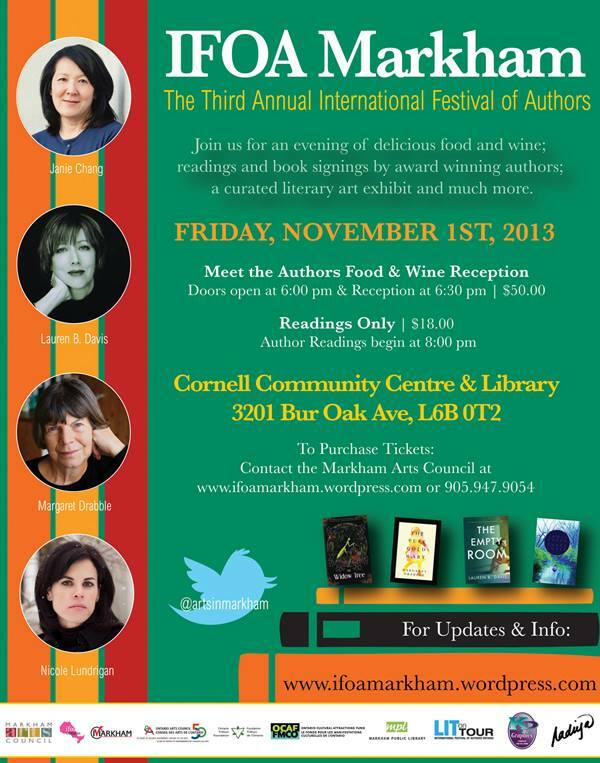 Each year, IFOA Markham has been held in different locations across Markham. IFOA 2011 took place at the Markham Museum and featured authors Francisco Goldman, Shilpi Somaya Gowda, Dany Laferriere, and Bharati Mukherjee (host: Thom Ernst). IFOA 2012 was held at Flato Markham Theatre and featured Ayesha Chatterjee, Marjorie Celona, Chan Koonchung and Giller-winner Vincent Lam (host: Bert Archer). Generally About Books was a community partner for IFOA Markham 2012. Read the blog on IFOA-2012. Click here: An evening of rain & readings. This year, Markham Arts Council is proud to host IFOA Markham at the newly inaugurated Cornell Community Centre and Library- and we’re thrilled to celebrate women’s literature with an all-female lineup of authors: Janie Chang, Lauren B. Davis, (Dame) Margaret Drabble and Nicole Lundrigan (hosted by Bert Archer). Generally About Books will be a media partner. 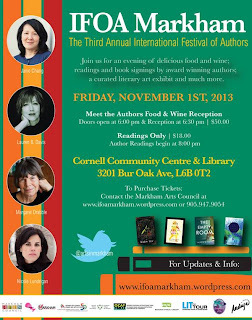 So, what's the Third Annual International Festival of Authors 2013? It'll be an evening of delicious food and drink, stellar author readings and book signings, a curated literary exhibit and much much more. Venue: Cornell Community Centre and Library (3201 Bur Oak Ave, Markham). The evening will begin at 6:30pm (doors open at 6pm) with a Meet & Greet the Authors Reception, followed by readings and book signings. ($50.00). 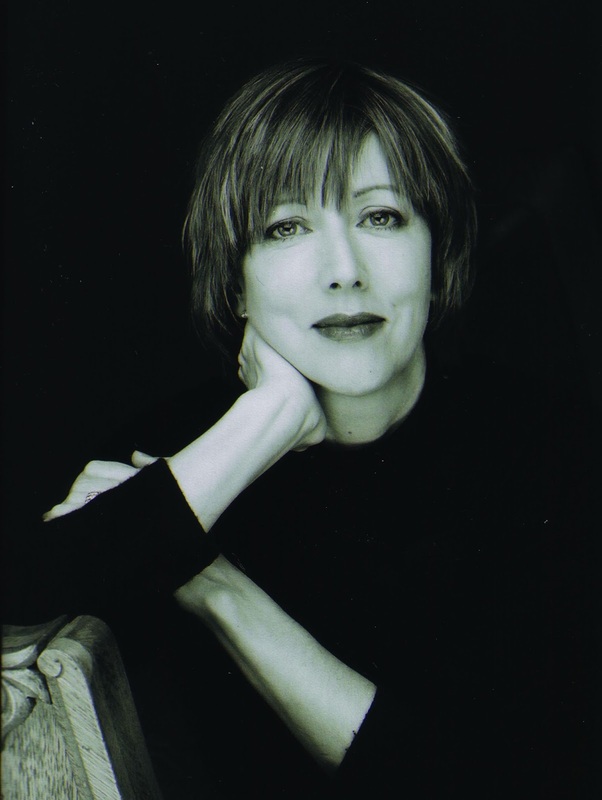 If guests prefer to only attend the readings, they can opt for the readings-only ticket, and arrive at 8pm for a night of stories we won’t soon forget!($18.00). 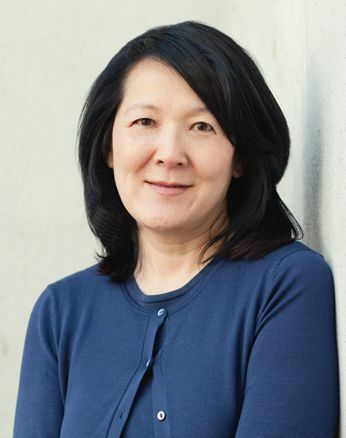 Janie Chang (Canada) spent her childhood living in the Philippines, Iran and Thailand, and now lives in Vancouver. She has a degree in computer science from Simon Fraser University and recently attended SFU’s Writer’s Studio. 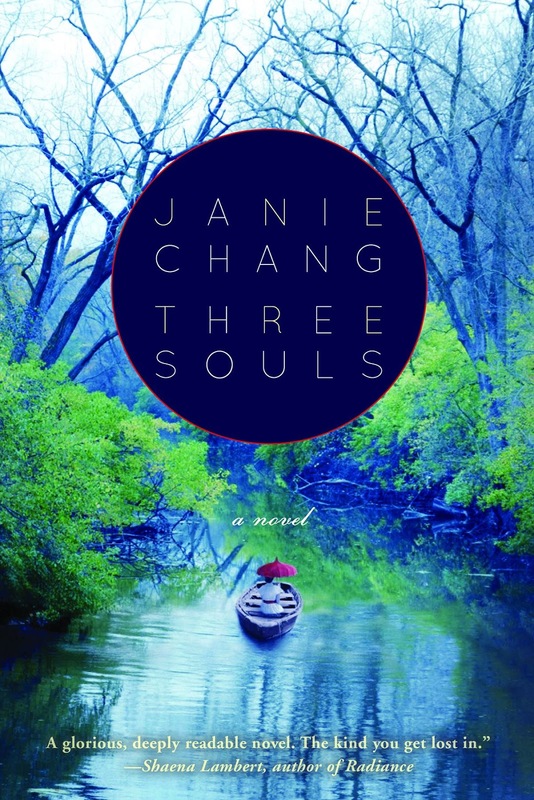 Chang presents her unforgettable debut novel, Three Souls, which was inspired by the tragic story of her grandmother, whose life, like so many generations of women in China, was not her own. Readers meet the ghost of young Leiyin, who must sift through her memories to uncover what is binding her to this world and denying her entrance to the afterlife. 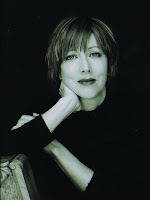 Lauren B. Davis (Canada) is a critically acclaimed novelist, essayist and teacher whose bestselling books include The Stubborn Season, The Radiant City and Our Daily Bread, which was longlisted for the 2012 Scotiabank Giller Prize and named best book of the year by both The Globe and Mail and The Boston Globe. 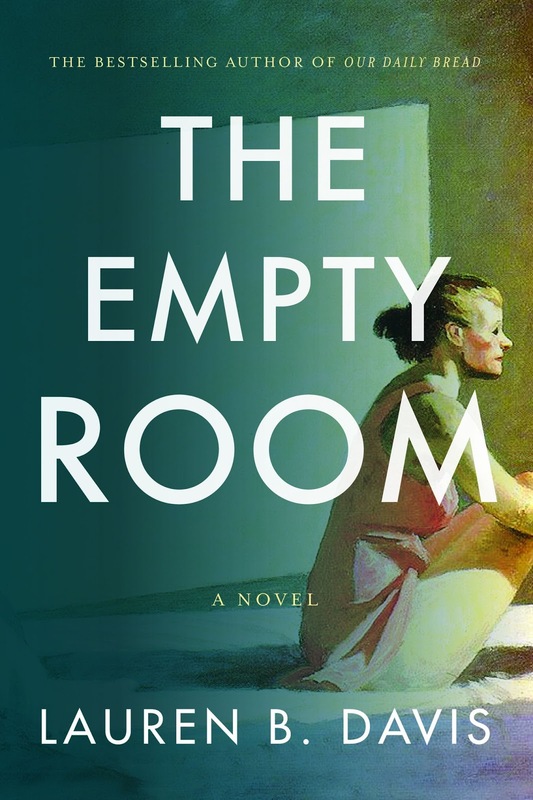 Davis will present The Empty Room, a story about a woman whose worst enemy – and only friend – is the bottle. 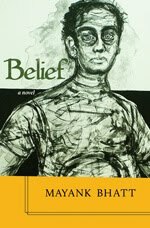 The result is an unforgettable portrayal of the turmoil and pain of alcoholism. 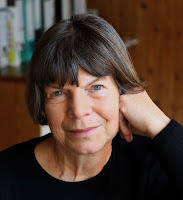 Margaret Drabble (UK) became a Dame Commander of the Order of the British Empire in 2008 for her contributions to contemporary English literature. She is the author of The Sea Lady, The Seven Sisters, The Peppered Moth and The Needle’s Eye, among other novels. She wrote biographies of Arnold Bennett and Angus Wilson, and edited two editions of The Oxford Companion to English Literature. 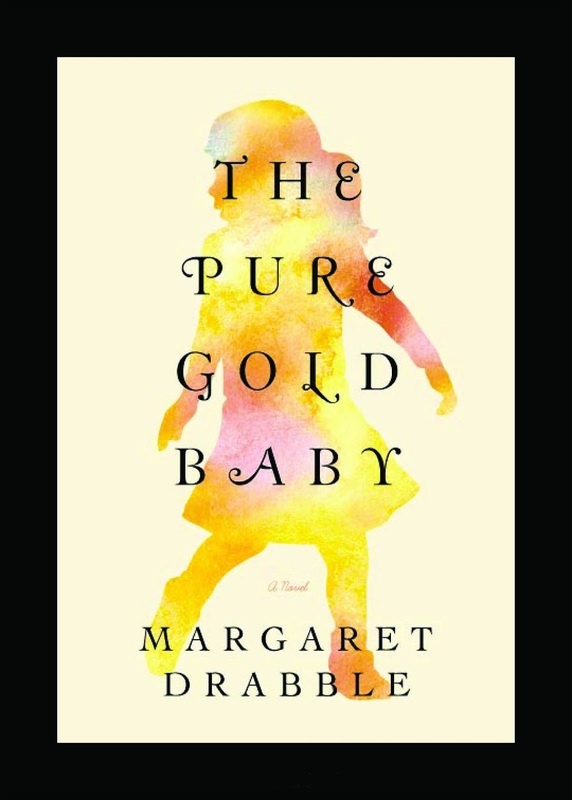 Drabble presents The Pure Gold Baby. Jessica Speight is on the cusp of a promising academic career in 1960s London until a relationship with her married professor leaves her the single mother of a darling – but very unusual – daughter. 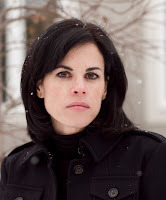 Nicole Lundrigan (Canada) is the critically acclaimed author of four previous novels, including Glass Boys, which received glowing reviews and was a NOW magazine top 10 and an Amazon.ca top 100 book of the year. Unraveling Arva was selected as a Globe and Mail top ten, and Thaw was longlisted for the Relit Award. 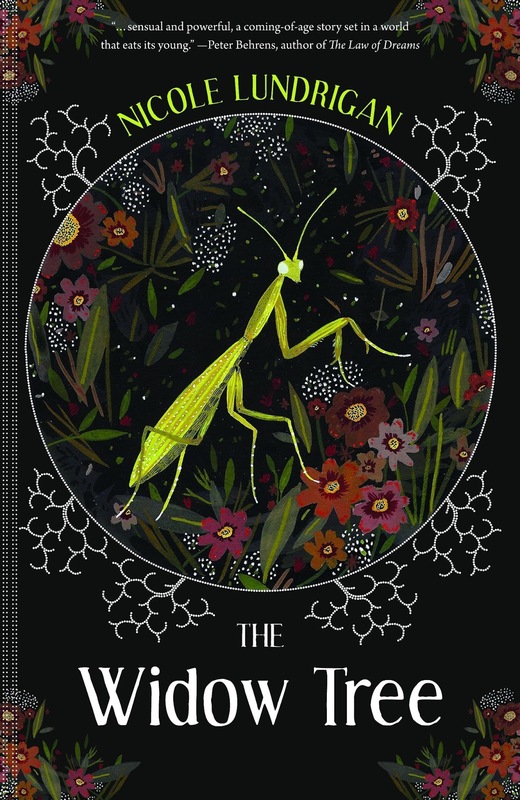 Lundrigan presents her latest novel, The Widow Tree, which finds three teenagers facing life-altering consequences after they conceal a valuable discovery in a small village in post-war Yugoslavia.